Wireless sensors are starting to unleash a wave of disruptive innovation that will bring with it immense entrepreneurial opportunities. There will be more wireless sensors in our world–by far–than there are smartphones, dumb phones, tablets, laptops and PCs combined. Billions upon billions today–and trillions tomorrow. They will give us superhuman senses: to see “through” walls, to “hear” sounds many miles away, to “know” things we never could have known before. No matter the size of your company, the ability to look at this new sensor-enabled world through the eyes of an entrepreneur is the price of admission. Already, thousands of startups around the world are laser-focused on implementing new business models that disrupt the status quo. When you first begin using Monnit wireless sensors, you will need to set up an account through the iMonnit online wireless sensor monitoring system in order to assign your gateway and wireless sensors to your network. This process needs to be completed for both iMonnit online monitoring as well as Monnit Express local PC monitoring. The following Tech Tip will guide you through the process of setting up your Monnit account. To begin, you will need to open any web browser and navigate to www.imonnit.com. From the main page you will see a “Create New Account” button towards the bottom of the screen. Click this button to begin creating your Monnit account. On the next page you will need to enter information for your account. This will include company name, time zone and address. After you have entered your account information you will need to enter contact information for the primary user of the account. If you are using the basic iMonnit monitoring service, this is where the system will send all sensor alerts and notifications for your account. If you are using iMonnit Premiere you will be able to add additional users once the account has been created. The last step to setting up your Monnit account is to create a primary wireless sensor network. To create your primary wireless sensor network, enter a name for the network and then enter the information found on the bottom of your wireless Ethernet, Cellular or USB Gateway. Note: Once your account has been created, you can add additional wireless sensor networks if you have additional wireless gateways. 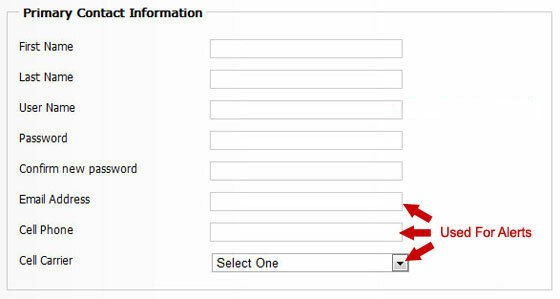 When all information has been entered, click the “Create Account” button to complete the process. Once your account is created, you will be able to log into the system to add wireless sensors and additional gateways as well as configure your system for alerts and notifications. While we may enjoy the heat of summer, our four legged family members might not. 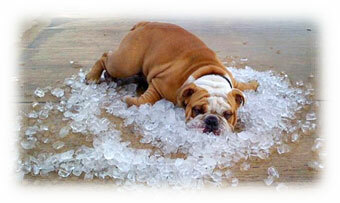 Dogs do not handle heat as well as humans, so we need to be aware of just how hot it may be in our pet’s environment. Dogs left chained out in a yard, or left in garages or outdoor kennels are prime candidates for heat exhaustion. Since surviving heatstroke depends on the duration and degree of temperature conditions around your pet, we recommend using Monnit’s affordable wireless temperature sensors to track and monitor the temperatures of your kennels, garages or even on your dog’s collar or harness. We also recommend using Monnit’s wireless water sensors to be alerted when your pet’s water bowl is empty. Ensure your pets comfort by monitoring the conditions around them with immediate alerting. The Best Cure for Pet Heat Exhaustion is PREVENTION!